A little over ten years after the laying of the cornerstone (April 2001), the new Theatre of Florence - born from the ashes of the glorious Teatro Tenda - changes its name. Expiry of the ten-year contract with Sasch was searched a new partnership to accompany and to sustain the structure in the coming years. From 1 October 2011 the theater is called thus Obihall. "Obi" as the name of the German company leader in Europe in the field of DIY, building and gardening and "Hall" as a sign of continuity with the recent history and as a renewed emphasis on the vocation of "multipurpose" room, modern agora. 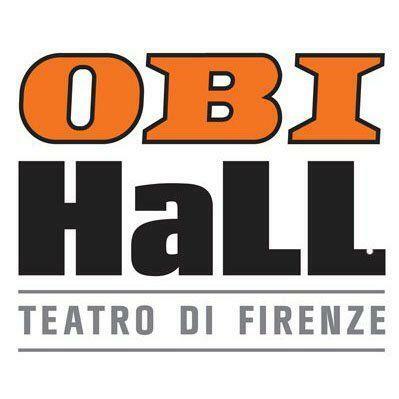 Next to OBI continues the valuable presence of Banca CR Firenze has always followed with affection and attention the story of the new theater since the construction phase.